Don’t ignore fish when you are planning your weekly meals and this baked tilapia recipe is quick and delicious. Experts agree that we should try to eat fish at least twice a week – and more is even better! Fish is low in calories and low in saturated fat. 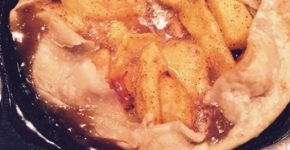 Fish makes a quick and easy week-night meal! This Baked Tilapia recipe takes less than 5 minutes to assemble and it bakes in 25 to 30 minutes. Preheat oven to 375 degrees. Grease a 9 X 13 baking dish. 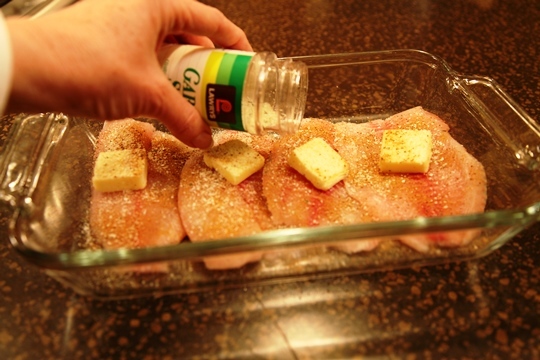 Place tilapia fillets in the baking dish. 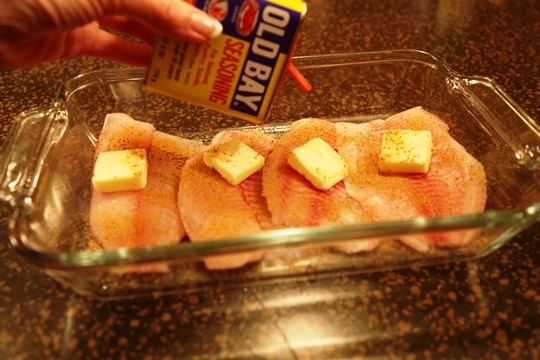 Sprinkle both sides of the fillets with Old Bay Seasoning and sprinkle with garlic salt and pepper. Top each fillet with a pat of butter and a lemon slice. Cover with aluminum foil and bake for 25 to 30 minutes. 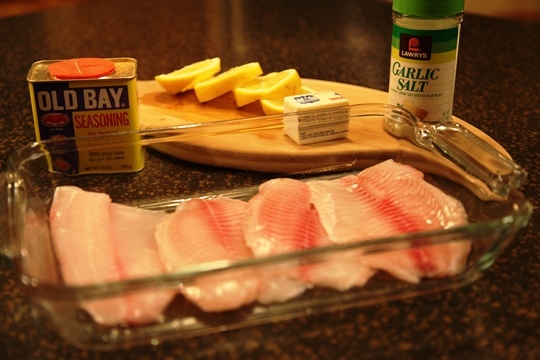 Place Tilapia fillets in sprayed dish and sprinkle with Old Bay Seasoning and Garlic Salt. Top each fillet with a pat of butter and a lemon slice. Cover with foil and bake at 375 degrees for 25 to 30 minutes. Enjoy! 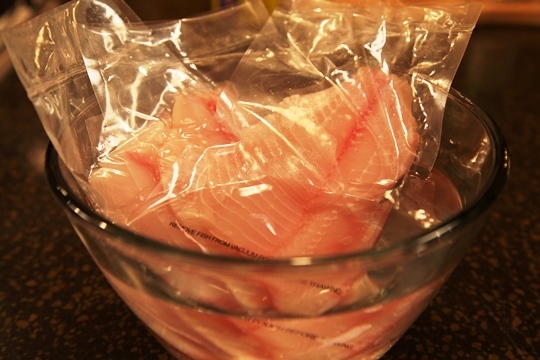 Note: Be sure to check out my Success Secret for Quick Thawing Frozen Fish Fillets! 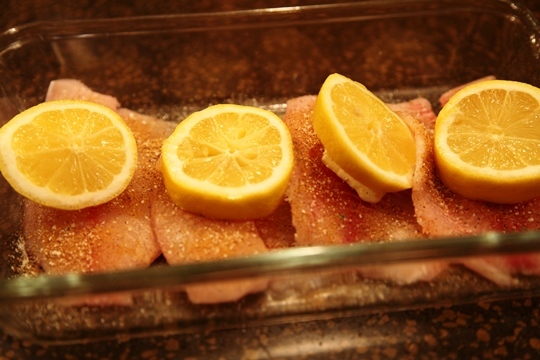 Want to know how to bake tilapia? 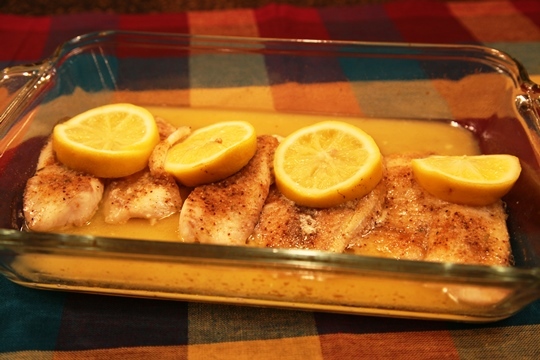 Here is an easy baked tilapia recipe! Need a new baking dish for this recipe? Check out this special deal for Make Life Special readers! Only $ 12.95! I’ve made this several times for my kids. They LOVE it. Thank you!!! What can I do if I don’t have a fresh lemon available? This was tasty! I didn’t have lemon pepper so I just subbed regular fresh-cracked black pepper and added a bit more lemon juice. I served this with some israeli couscous with grated pecorino-romano and some steamed broccoli. Super easy weeknight dish. Thanks! Is it salty with garlic salt and obay? 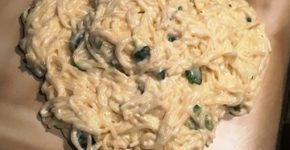 No…The recipe turns out great every time!